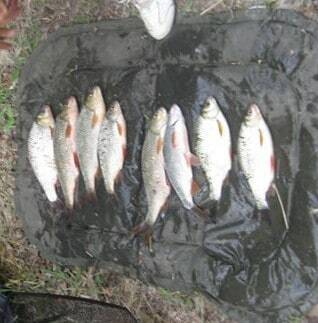 They say every picture tells a story, but when it comes to Riverside Lodge the fish in the pictures keep on getting bigger, and stories just keep on getting more interesting and exciting. If Riba Roja is a hidden gem, then this fishing venue, tucked away along a bumpy unmade road certainly is a diamond in the rough! Situated directly on the banks of the damned section of the River Ebro, just outside the village of Riba Roja, Riverside Lodge lays claim to some of the optimum swims on this stretch of the river, and it is an absolute MUST go to destination for any serious angler. Riverside Lodge is a place that really makes the most of its full potential. A purpose built fishing lodge run by experienced and passionate anglers. 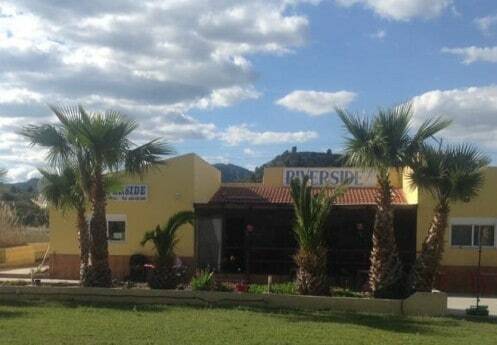 So what does Riverside Lodge have to offer? Well, for a start everything is on site. Once you arrive, you can immediately get down to the important matter of wetting those lines. There is no driving miles to the river bank, it’s right on your doorstep. Food is always just a moment away, and as for that ice cold beer. Well, let’s put it this way, you’ll never be thirsty, and there is always the opportunity to boast about your catch of the day with the locals, or alternatively you can drown your sorrows over the BIG one that got away. There’s plenty of accommodation either on a bed and breakfast basis, or if you fancy more of a drive and survive gig, then the chalet options have all the equipment you need to fend for yourself. Forget about lugging your rods and trying to get those barbless hooks past the jobsworth security man at the airport EVERYTHING can be hired at Riverside, and it’s all good quality gear. Licences, bait and boat trips are also all available on request, and for a small fee, they will even pick you up from the airport too. This stretch of the River Ebro is really teeming with fish, from smaller species like Roach and Rudd, to Carp and Zander. 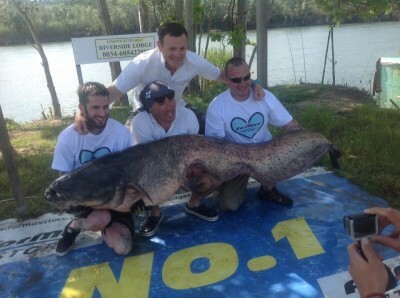 Not to mention the hard fighting Wels catfish that will leave your reel screaming for mercy. No matter if you are a novice, or experienced angler, the guides at Riverside Lodge will soon get you onto the fish and will give you as much or as little help as you need to get that catch of a lifetime. You’ll be silly not to!